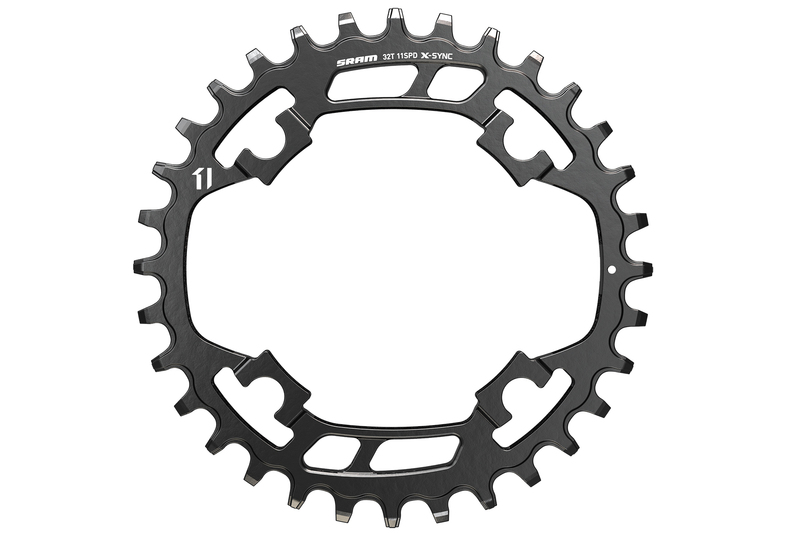 As it stands, a replacement SRAM X-SYNC chainring will set you back between £75 and £95, assuming you can’t find it discounted somewhere. It’s no wonder that people are turning to brands such as Wolf Tooth for cheaper, imitation products. Even Chromag, who SRAM licensed the technology to, is selling a chain ring for cheaper than the German giants. This hasn’t gone unnoticed by SRAM so it’s attempting to claw back the market by undercutting them all with a steel version for the budget conscious consumer. Could this be the end for the imitation chainring? The X-SYNC steel ring will be available for £15.99 in the UK, about a fifth of the cost of an aluminium one. We’re sure there will be a weight penalty for using this ring, but SRAM has not yet released how muchthis will be yet. Either way, it still represents a saving that’s not to be sniffed at. SRAM also believes that the steel rings will be more durable than the aluminium ones, this is surely an added bonus for those of us who are riding on a budget and can’t afford for parts to wear out too quickly. The rings will be available in 28T, 30T and 32T versions and you should be able to find sone compatible with most SRAM 1x cranks. They will be available in October.